I'd like to start by saying a big thank you to all the Spiners & Challengers (from previous races as well as the 2014 edition) who took time to complete the survey. I'd also like to acknowledge the contributions from those who did not complete the race, but still shared their experiences. I have made every effort to word this blog with sensitivity to these racers, I am mindful of the commitment and investment of time and energy it takes to stand on the start line and face down the Spine. But if any offence is caused, it is unintentional and please accept my sincere apologies. The insights offered by all the respondents have been extremely useful in adding context to the conclusions. I'm also sure that other racers will appreciate trying out your ideas and methods to see if these might help with future successes. As one respondent said "knowledge is power" and the Spine is no exception when it comes to informed choices in all aspects of kit and training. The aim of the survey is not to find a 'formula which fits everyone'. Indeed I doubt whether such a thing exists anyway. Even before the race starts, there are so many variables such as previous experience, expertise, fitness and physiology. I shall pick up this thread further into this blog when I return to the theme of the 'complete racer'. What I hope does come from this survey is range of ideas, suggestions and further discussion which racers can test out and see if there are improvements for them too. So what prompted me to start this survey? Of course, footwear choice is an important factor in all of the above. Who's racing with what kit is a frequent topic of discussion among the M&Ms and it helps us form an idea of who might require what kind of help during the race. So to the results...We had 36 respondents, of which 17 were Spiners and 19 Challengers. Anecdotal evidence and my M&M observations of the races in 2012, 13 & 14 indicate that the Spine and Challenger are different propositions in terms of feet attrition and tissue damage. For instance, by the mid to late stages of the Spine, enough time has elapsed for additional complications such as trench foot and infection to become race limiting factors. Examination of the survey results further justifies scrutinising each race separately to draw out specific observations for the 110 & 268 miles. Of the 19 respondents, 5 did not make it to Hawes, 14 finished. 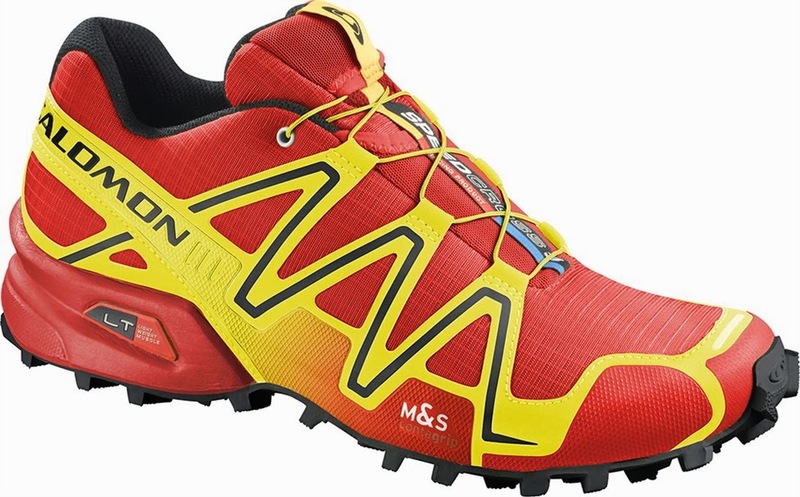 The most popular shoe type was Salomon Speedcross (6 wearers). Other Salomons on show were a couple of SLab & one XA Pro. 6 out of 7 Salomon wearers completed the Challenger. A range of Inov8 shoes also featured strongly: GTX 268 Boot (1 wearer); Trail Roc 255 (2); 295 (2); Roclite (1). Of the Inov8 wearers 4 out of 6 completed the Challenger. Of all the shoes worn only 4 respondents changed shoe type during the Challenger. Interestingly, only 2 respondents used a shoe type with a mid to high level ankle coverage. All other shoes fall into the low ankle category. Perhaps this indicated a strategy/willingness to put up with the inevitable mud and wet ingress into a low sided trail running shoe and push onwards with the best possible pace for the duration of the Challenger. However, when asked what would they change if they were to do the Challenger again, several respondents indicated they would switch to lightweight boot or high sided hybrids. A strategy adjustment based on a real experience of the terrain and how much time they actually spent running. Of the 17 respondents, 6 did not make it to Kirk Yetholm, 11 finished. Of the 6 respondents who did not finish all wore shoes in the 'other' category. I do not think it is possible to draw any firm conclusions from this due to the small sample size in this area of the survey. Of the finishers 8 wore the same type of shoe all the way. 11 respondents wore low sided trail running type shoes. All the respondents who wore mid-high ankle boots (or switched to them) during the race completed the Spine. Spine racers (with the exception of the very fastest, like Pavel & Eugeni) inevitably have a slower overall pace than the Challengers. So with more of the time spent walking, it is no surprise that a greater number started and finished wearing boots with mid-high ankle coverage. Reasons given are primarily to keep mud and moisture out for longer. 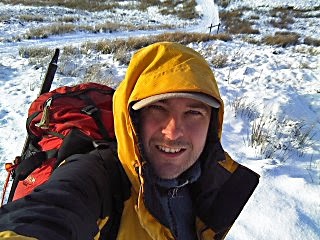 This would prove especially beneficial in the later stages of the race (2013 deep snow drifts on the Cheviot, 2014 over-saturated ground and deep mud). In 2012, there was a high rate of attrition, particularly with blisters. this was due to very cold weather freezing the rutted muddy ground. The thinner soles of some trail running shoes gave little cushioning and support in these ankle-turning conditions. Also the cold exacerbated immersion injuries by restricting blood circulation to the extremities. Changes of socks featured in many comments as did whether GoreTex linings in footwear were beneficial, or not. 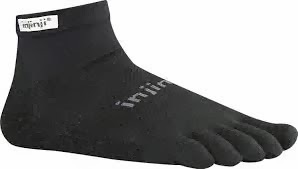 One idea promoted was: Injinis Socks + Seal Skins + water repellent foot balm. Several racers said they would not choose GoreTex lined footwear again as it seemed to retain moisture and their feet stayed wet, causing blisters. Many of these racers were wearing low sided footwear, which (without a gaiter) would not be good at keeping out the mud. Solutions offered were to use a GoreTex sock but not a GoreTex shoe. Another respondent regularly changed his socks in order to "reset the immersion clock". Keeping water out of footwear is a major consideration. Given the British winter climate and the increasing popularity of ultra-trail races, it is surprising that there are not more commonly available boot-trainer hybrids or trail running shoes with built in gaiters. Grip has been a sore topic for some racers as each year we have seen retirements due to slips, trips and falls. The single most common cause is on the stone slabs which have been laid along much of the Pennine Way to prevent erosion of paths. When the stone is freshly cut and laid it offers good grip, but as soon as it becomes wet and slimy, or covered in frost/ice they are treacherously slippery. One respondent said Salomon XA Pro offered him no traction on this surface. Another advocated putting Yak Track spikes on for the slabby sections. In summary we can see general trends and approaches which differentiate the footwear systems employed for the Challenger and Spine Races. 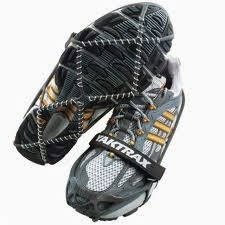 Many racers have used conventional trail running footwear with great success and remain happy with their choice. Others, would now consider using lightweight boots, either from the start, or much earlier in the race. It is perhaps no huge revelation that many Spiners are already doing this. 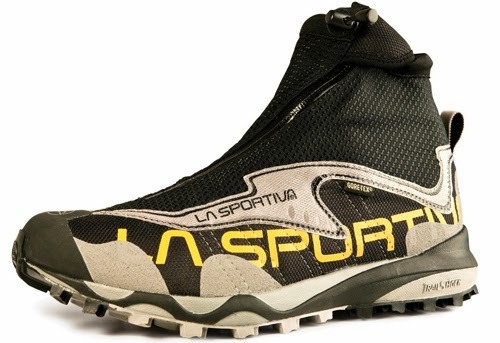 What is important, is that whatever footwear strategy you (as a Challenger or Spiner) choose, it is thoroughly tried and tested by you (within the limits of safety around bogs and other water courses etc) well before the race itself. 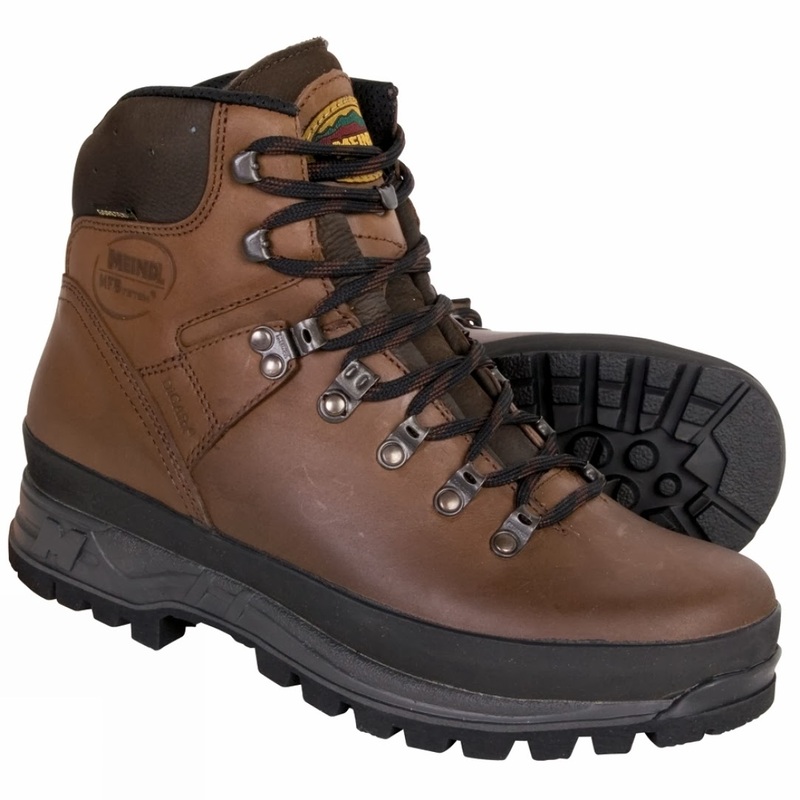 Footwear is one element to consider in your preparation and build-up to a successful 2015 Spine / Challenger campaign. Through Ranger Expeditions, I offer navigation, hill and race skills as 1:1, team and group training courses with specific focus on The Spine & Spine Challenger races (skills which are also highly relevant to other ultra-trail races too). We also deliver the very popular Pre-Spine Masterclass, the day before the race start in January. From my work on the Spine Mountain & Medic Safety team, knowledge of the Pennine Way, expedition leadership and journeying in remote environments (including traversing the infamous Bigo Bogs in the Uganda Rwenzori jungle - descriptively named in the best African traditions: bigo because its big, and bog, well there was an awful lot of that too) and competitive events background, I have developed a complete racer approach to training and racing strategies. This approach encourages athletes to look at all aspects of their skills, routines and strategies. As with the training we offer, the focus is on what works best for the individual, using strengths to the best possible effect but not losing sight of the need to develop weaker skills, sharing knowledge so that racers can take complete ownership of their performance, which in itself can feel like a huge positive step forwards. This is particularly important with races like the Spine & Challenger, as many incredibly accomplished ultra runners have been de-railed by just one or two shortfalls in the hill skills necessary to thrive and finish these demanding events. Our focus is always on you, building confidence and solid ability in skills so that you can safely and competently go forwards with your own independent racing and mountainous adventures. Our courses include plenty of opportunities for practice and discussion with a firm emphasis upon enjoyment. Whatever your background, or current ability, Ranger Expeditions can help with your Spine/Challenger training needs.